With no city lights for miles, The Pillars Estate stands alone in the darkest of nights. Inside, guests are greeted by dim candlelight, a windy staircase and a gentleman from Scotland. Tony McMurtrie purchased the Civil War-era estate in Albion, NY when it was ready to be torn down. Restoring it to its former glory over the past decade, he’s carefully curated every detail – from the grandfather clocks to the silver. His love of antiques and a refined way of life hasn’t gone unnoticed. Cora Goyette moved to Albion from England and bonded with McMurtrie over their shared appreciation of European culture. Today, she takes care of the 13,286-square-foot house as if it were her own, hosting tea parties and events in the grand ballroom. But unlike McMurtrie, Goyette won’t stay at The Pillars alone. In fact, most of McMurtrie’s friends refuse to spend the night. 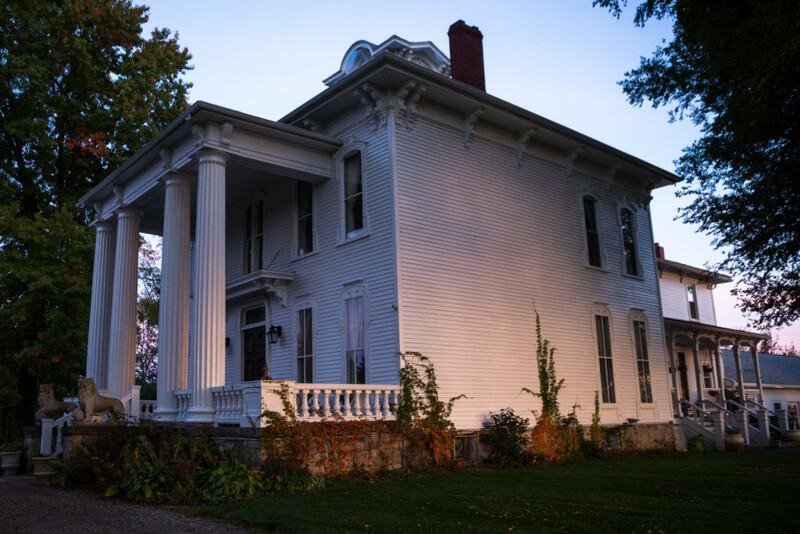 From mysterious footsteps to children’s voices and a piano that plays itself, strange happenings have been reported since McMurtrie started restoring the house. Some believe he’s unlocked a haunted past, while others remain skeptical. The home at 13800 W Country House Rd is on the market, waiting for a buyer to set the record straight once and for all.